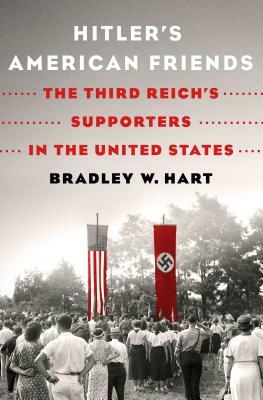 Join us at Book Culture on 112th on Wednesday, April 3rd, at 7pm for a discussion with Bradley W. Hart on his new book, Hitler's American Friends: The Third Reich's Supporters in the United States. Bradley W. Hart is Assistant Professor at California State University, Fresno, USA and a former by-fellow of Churchill College, Cambridge, UK. His previous works include a co-edited volume entitled The Foundations of the British Conservative Party: Essays on Conservatism from Lord Salisbury to David Cameron (2013) and George Pitt-Rivers and the Nazis (2015).